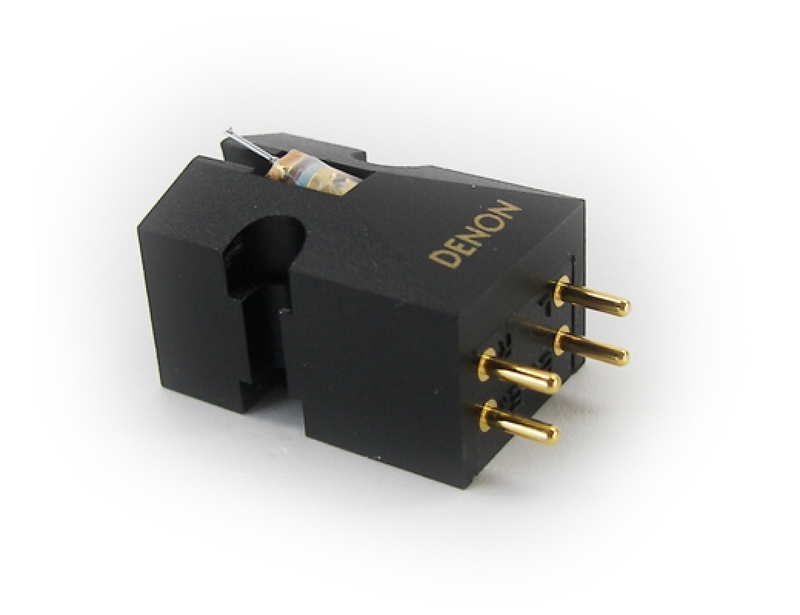 Among phono-loving audiophiles who didn’t just climb on the vinyl bandwagon last week, there’s a large number of us who are familiar with Denon’s DL103 moving coil pickup. Maybe a very large number. The reasons are clear. The DL103 has been in more or less continuous production since 1962. It has outlived so many major audio developments, that we’d need a team to list them all. This is a piece from the golden age of hi-fi, that has somehow defied the aging process. With its’ affordable pricing, and the decline of analog over most of the last thirty years, I don’t know if the DL103 has even been a net money maker for Denon. But somehow, in some small corner of a factory in Japan, they keep churning them out. They haven’t made millions of them, but for a low-output MC, they’ve made a lot. And somehow, as all the ancillary gear has evolved, and (in general) improved, the DL103 continues to shine as a stellar performer. But you knew all that already. And in the last twenty years, the venerable Denon has also sprouted almost a whole cottage industry worth of tweaks and variations – de-nuding, wood bodies, aluminum bodies, stylus re-tipping options, and so on. With varying degrees of success. You knew that, too. 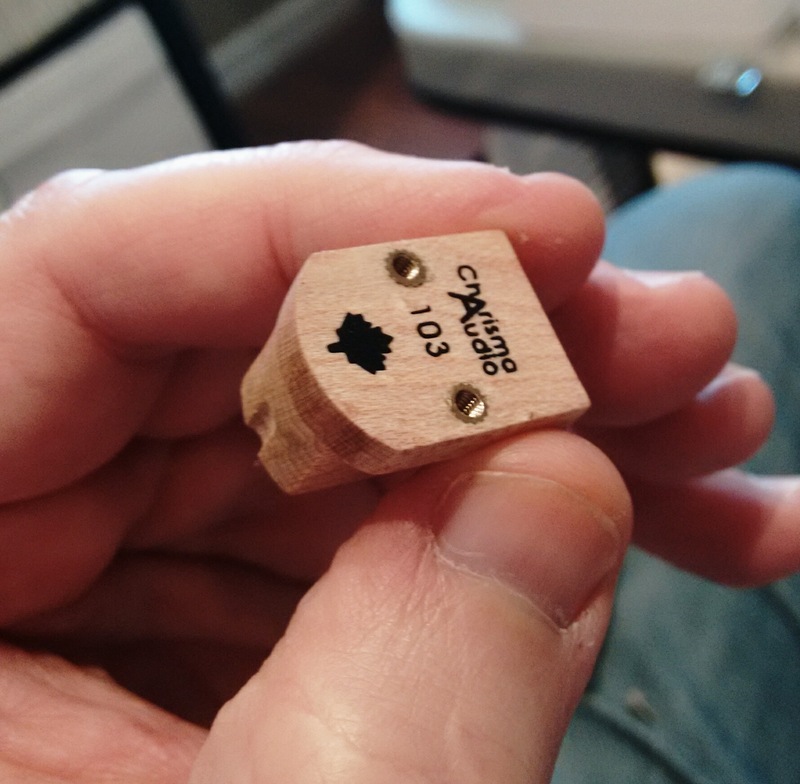 Charisma Audio already had an excellent line of cartridges, when Bernard Li decided to make a DL103 variation. This one is decidedly different – and it’s very special. This is a dramatic reworking. The black plastic body is, of course, tossed out and replaced with a very nice birdseye maple wood body. A number of luthers favour this species of wood for its resonant properties. It also looks very pretty. The suspension is retuned, so the recommended tracking force is reduced by some 16%, to 2.1 grams. 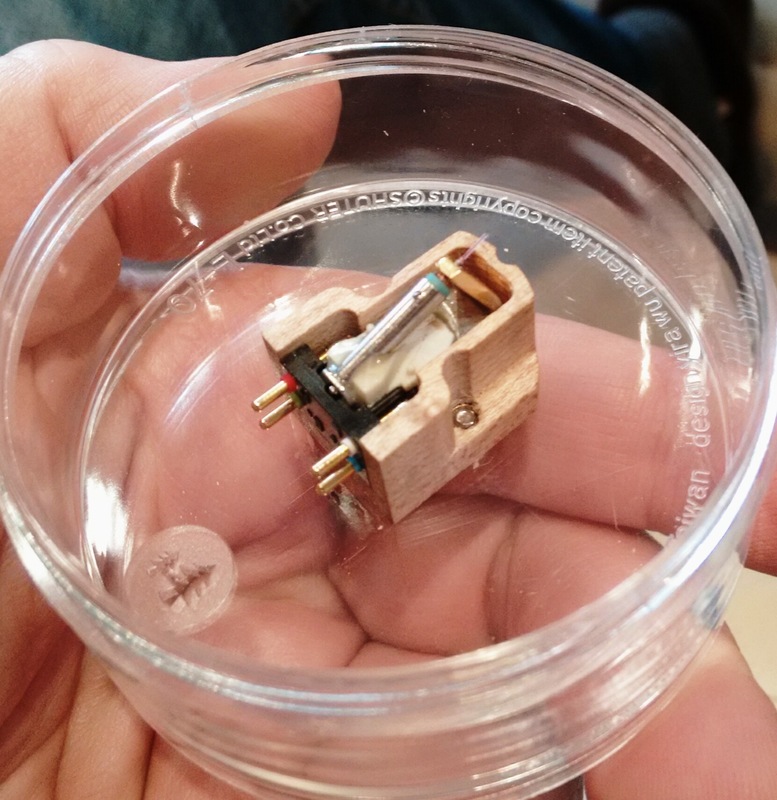 This brings the DL103 into the modern age, where its 2.5 gram VTF is considered to be quite high. But for the most radical surgery, a ruby cantilever sporting a line-contact stylus is installed. And this changes the cartridge’s basic character profoundly. Line-contact stylus profiles typically extract more detail from the record groove. From the first moment I lowered the Charisma onto a familiar LP, this was very obvious. Holy smokes! Now I’m not saying the spherical-tipped Denon is fuzzy-sounding, or vague – it isn’t. But the Charisma takes the detail retrieval game up to another level. The difference is not subtle. The background conversations and busboy clatter on Waltz for Debby became so clear, it was really startling. And that’s a record I’ve heard hundreds of times. 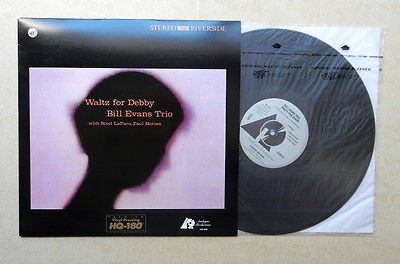 More importantly, Bill Evans’ piano, which can sometimes come across as a little obscured on this recording, was in sharp focus, clear and well-placed. In fact, every aspect of well-recorded LP’s like this was enhanced: instrumental detail and separation, physical space ambience, small production glitches, the works. The other great part, was that record surface noise wasn’t exaggerated, it was about the same as my reference. Using the Charisma 103 with my Teres/Jelco 750 setup was a pleasure, with one subtraction: the cantilever really protrudes on this cartridge; it’s similar to a Benz Glider or Sumiko Blue Point, and much moreso than most cartridges, or indeed, the plain DL103. I’m tall, and my high-mass deck sits on a 30-inch high table, so tonearm handling can be disconcerting. Having a turntable up closer to eye level can definitely help calm the nerves, especially with a cartridge like this. There is also no stylus guard. Electrically, this is still a DL103 – which means it makes a brilliant match with step-up transformers like the venerable Altec 4722. 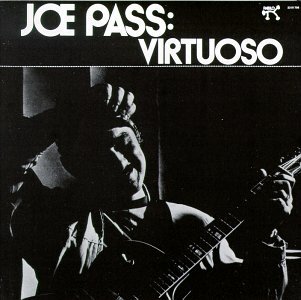 Using the Altec and my Elekit preamp’s MM section, I marvelled at the reproduction of guitar albums like Joe Pass’s Virtuoso, and Ry Cooder’s Paris, Texas. Every note bend, every inflection of tone and rhythm – the musician’s “message” or intent – comes through with a superb sense of wholeness. Many big smiles. I mention these well-recorded, midrange-intense LP’s specifically, but the same was generally true for all my good LP’s. I was impressed with how the Charisma rendered complex musical textures, from the thwack and decay of a drum skin, to the raspy breath of brass instruments, to the complexity of singing voices. Classical records were very well-served – open, uncluttered, and having a very nice portrayal of scale and depth. Lousy recordings fared pretty badly, though. The Charisma 103 doesn’t warm up a sterile, dead, or overproduced piece of music. Digital recordings will sound like what they are. Same for poor pressings. This is the price you pay for moving up the analog food chain. A musical, budget cartridge like the Denon DL103, Dynavector 10×5, etc., will tend to homogenize the grooves and make everything sound “good”. Fewer discs will sound really bad, but you won’t often attain the heights of true greatness, either. This is a poison the listener has to choose as they decide on upgrade paths. Charisma’s 103 takes the higher path – it’s a high-end cartridge. So, how did the Charisma 103 compare with my reference Charisma MC-1? It was an interesting comparison, because these two cartridges are somewhat different in character, yet both very good performers. The MC-1 wins out, for its outstanding combination of finesse, balance and weight. It’s a killer cartridge, and that’s why three of us at WoS use it as our main pickup. Charisma’s 103 is less costly, and offers its own highly desirable set of traits. If you prefer a slightly more neutral or incisive presentation (I’d stop short of using the word ‘lean’), or your preamp is a little on the warm and fuzzy side, the Charisma 103 would be a great choice. 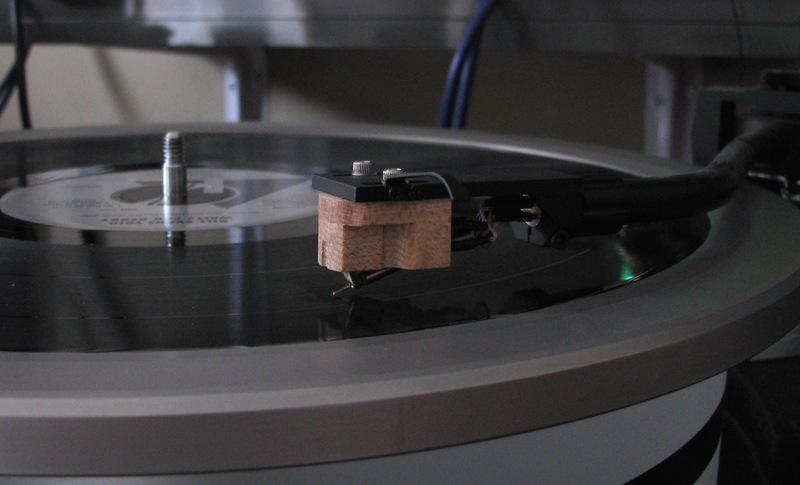 It mates well with most tonearms, sounds wonderfully musical, and delivers details in spades. 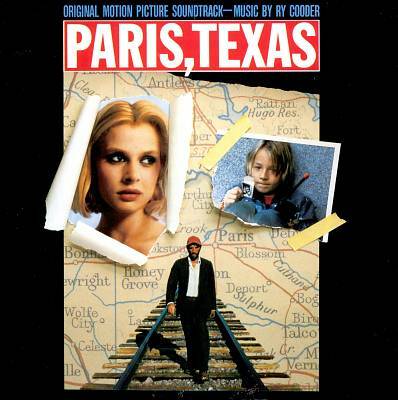 It isn’t particularly forgiving of bad records, and I didn’t expect it to be. It really falls, both in price and performance, halfway between two great all-rounders: the DL103, which has less detail and what sounds like a touch of artificial warmth; and the Charisma MC-1, which lands with both feet in the high-end, but at a higher cost. A very fine cartridge, and worthy of our highest recommendation.